If you're not a subscriber to satellite radio provider Sirius XM and you own an Amazon Echo smart speaker, you can receive three months of the radio streaming service for free. All you have to do is click on the sourcelink at the bottom of this article and sign up for an All Access subscription, which is normally priced at $20.99 per month. Or, subscribe to a Premier Streaming subscription that costs $15.99 monthly. As an Echo owner, the first three months of service will be free, saving you $62.97 or $47.97 respectively. Now here's the great news. You can cancel at anytime, which is a big deal considering that you have to present a valid credit card number to receive the three months free. As long as you remember to call 1-866-635-2349 to cancel prior to the expiration of the three month period, you won't have to pay a penny. But if you head to the end of the free subscription period wondering how you ever lived without Sirius XM's streaming content, don't make the call and your credit card will be appropriately charged each month. The Premier subscription gives you access to over 200 channels and allows you to watch Sirius XM video. With this service, you can listen to the streaming content on the Sirius XM app, and through connected devices like your Echo smart speaker. The higher priced All Access subscription not only gives you everything you receive from the Premier service, it also allows you to listen to Sirius XM through your car's radio. 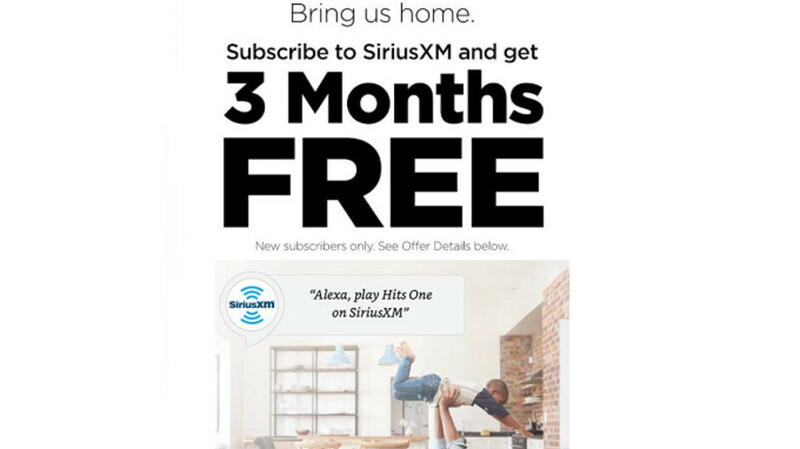 If you're already a Sirius XM subscriber, you don't qualify for this deal. But if you've never given Sirius XM a shot, you just might want to take them up on this offer. Score 6 months because at least 3 months take to call them and discontinue the service , that satallite radio is kind of tramp .